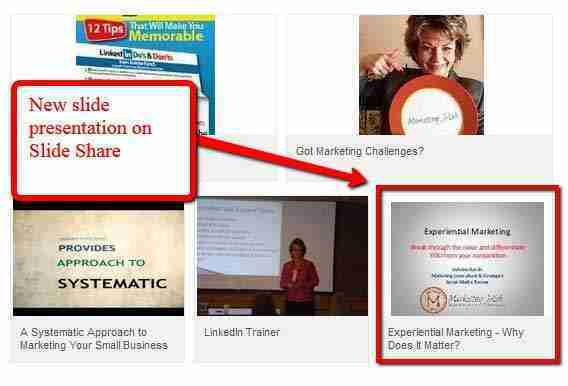 Do you use Slide Share to boost your LinkedIn profile? This week according to LinkedIn they’ve made it easy for you to add your presentations directly from SlideShare to your LinkedIn profile, with just a click of a button. Simply put – SlideShare is a top of all essential LinkedIn applications ever business should use to enhance your LinkedIn profile. 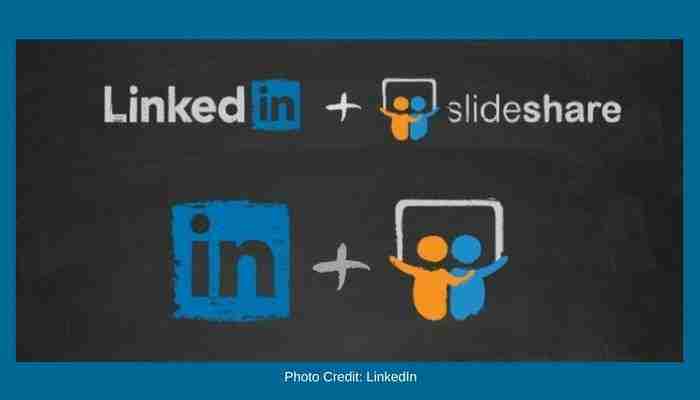 However, you must optimize and use it to gain the benefits of using Slideshare on LinkedIn. You simply log into SlideShare and choose to add a published SlideShare or upload a new one. If your accounts aren’t connected, you’ll receive a prompt to connect your LinkedIn account. Go to “My Uploads” (top right, under your profile picture), hover over the SlideShare you want to add, and click “Add to profile.” I uploaded a new slide share to my account this past week and it did exactly that – posted it to my LinkedIn Profile! Obviously, if you don’t want a presentation on your profile you can remove it, but this does save a step and it is great to include a variety of media on your LinkedIn profile. Follow these tips and stay top of mind with your LinkedIn connections and before you know it, your prospects will be coming to you!